June 4, 2013 -- Links International Journal of Socialist Renewal -- Registrations are now open for the Australia-Venezuela Solidarity Network’s next brigade to revolutionary Venezuela. On April 3, Nicolas Maduro visited Merida state. Crowds filled the central city bridge, equalling crowd sizes when Hugo Chavez spoke in Merida in September in the lead-up to last year’s election. Photo by Ryan Mallett-Outtrim/Venezuelanalysis. A PSUV office in Anzoategui torched on March 15, part of a coordinated campaign of violence, murder and arson. April 22, 2013 – Links International Journal of Socialist Renewal -- With cold calculation, the counter-revolutionary command ordered the murder of nine people and numerous acts of violence and destruction since early April 15. The United States is testing out a new way to defeat the Bolivarian Revolution: the creation of a classic fascist movement. A week before the election victory of Nicolás Maduro on April 14, referring to the attack on artists committed to the revolution, I pointed out the differences between McCarthyism and Nazism-fascism in an article published in the Correo del Orinoco. 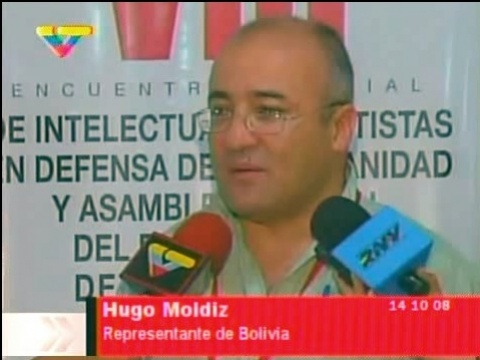 April 15, 2013 -- Links International Journal of Socialist Renewal/America XXI -- Hugo Chávez was not only a great Bolivarian patriot; he was a tribune of the world’s dispossessed. At an anti-imperialist conference in Cairo in 2007, I heard Chávez hailed for his solidarity with Palestinians as “a better Arab than the Arabs”; “closer to us than the Arabs that impose injustice”. Solidarity protest in Sydney, April 19, 2013, organised by the Australia-Venezuela Solidarity Network. Photos by Peter Boyle. April 19 2013 -- Venezuelanalysis.com –- Nicolas Maduro was sworn in as Venezuela's president for the constitutional period 2013–2019 today, promising to continue Hugo Chavez’s legacy and spearhead “a revolution of the revolution”. In the National Assembly in Caracas, Maduro took his presidential oath before assembly president Diosdado Cabello. “I swear by the whole people of Venezuela, by the supreme commander [Hugo Chavez], that I will abide by and make respected the constitution of the laws of the republic ... to construct an independent, free and socialist nation for all”, Maduro declared. April 15, 2013 – Links International Journal of Socialist Renewal -- The legacy of Venezuela’s late president Hugo Chavez has been overwhelming for revolutionary socialist organisations all over the world. In the Philippines, the Bolivarian Revolution led by Commandante Chavez inspired us in building a new political party that partakes of lessons and experiences that renews and revitalises socialism in the 21st century. The Partido Lakas ng Masa (PLM or Party of the Labouring Masses) was built (or, precisely, rebuilt by various political parties and activist groups in the Philippines) in 2009. The concept paper that outlined the formation of the party examined the Venezuelan experience, the Bolivarian Revolution and the ideas of Socialism in the 21st century and made them the guiding light in our conduct of revolutionary struggle. Australia-Venezuela Solidarity Network: The Venezuelan people have spoken! Respect the democratic process! PSUV election rally. Photo by Tamara Pearson/Venezuelanalysis. End the opposition violence! Respect the democratic process! No US-backed intervention in Venezuela! April 17, 2013 -- The Australia-Venezuela Solidarity Network joins with all those voices for democracy and peace to call for an immediate end to the opposition-initiated violence now occurring in Venezuela. On April 14, a majority of Venezuelans voted for the United Socialist Party of Venezuela’s (PSUV) presidential candidate Nicolas Maduro. In doing so, they voted to continue the Bolivarian revolution previously led by Hugo Chávez. Venezuela has one of the most transparent and secure voting systems in the world and the presidential elections were, according to all independent observers, free, fair and constitutional. The election result must be respected. Election day, April 14, 2013. April 15, 2013 -- Venezuelanalysis.com -- Things are chaotic here, as we recover from the surprise, disappointment and a bit of hurt from the election results, but also go out in the street to express our support for those results, and to defend the national electoral system, one of the best and most secure voting systems in the world in a country which just loves to vote. We move quickly from being sad last night to concerned and determined today, as the caceroles [right-wing protests involving banging pots and pans] sound around the neighbourhoods and the opposition hangs outside the National Electoral Council (CNE) here in Merida, hundreds of them walking around with rocks and glass bottles in their hands, itching to have something to react to. Still, as the pan-clanging sounds around my neighbourhood and people shout “Out! Out!” (referring to the government), making it just a little hard to think, it is important to understand yesterday’s results, as that helps us to understand the situation we’re in now, and plan for the future. April 16, 2013 -- Green Left Weekly -- The room erupted into cheers when the election result was announced. For hours, the city of Merida's most ardent supporters of socialist presidential candidate Nicolas Maduro had gathered in the local offices of the United Socialist Party of Venezuela (PSUV). However, after a few moments, the closeness of the numbers sank in. At the time of writing, the National Electoral Council (CNE) had announced that with 99% of votes counted, the PSUV's Maduro won with 50.6%. His closest rival, Henrique Capriles, received 49.1%; giving Maduro a slim 1.5% victory. In the last presidential elections, Maduro's predecessor Hugo Chavez defeated Capriles – the candidate of the US-backed right wing hostile to the Chavez-led Boliviaran revolution -- by just over 10%,. Many supporters of the revolution were expecting a similar result. Last month, a joint Barclays/Datanalisis report gave Maduro a 14.4% lead, while pollster Hinterlaces predicted his victory would be 18%. Nicolas Maduro drove a bus to the National Electoral Council to register his candidacy for president. March 29, 2013 -- La Jornada -- Nicolas Maduro is a robust, burly man, 1.9 metres tall with a thick black moustache. He drove a metro bus in Caracas for seven years, was foreign minister for six more and is now interim president and candidate for the country’s top office. 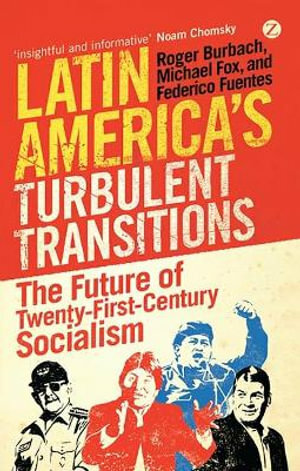 He is part of the a generation of Latin American leaders like metal worker Lula da Silva and coco-leaf unionist Evo Morales, who entered politics from the trenches of opposition social struggles [translator: in opposition to the neoliberal administrations that governed Latin America before the continent’s "pink tide", which began in the late 1990s]. March 27, 2013 -- Venezuelanalysis.com -- Although the results of the presidential elections on April 14, 2013, are quite predictable, Venezuela is are going through a fragile, vulnerable period, with a future that is less predictable. These elections, because of their place in history -- the start of the era of the Bolivarian revolution without Hugo Chavez – have some special characteristics and factors. The significance of these factors, of these weaknesses, opportunities, relationships of power, and so on, goes beyond the voting on April 14. 09/03/13 -- America XXI -- No fue a causa del accionar de un individuo que en la última década el damero internacional sufrió un drástico vuelco. Fuerzas desatadas por la lógica interna del capital movilizaron cambios de tal magnitud que, en el fugaz lapso de una década, dibujaron un nuevo mapa geopolítico, todavía no cabalmente interpretado, en el cual Estados Unidos ha perdido su antiguo lugar de centro del equilibrio planetario y jefe inapelable en las cuestiones esenciales de la economía, la política y la guerra.